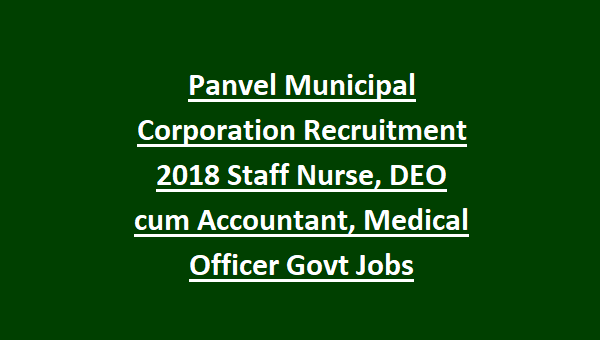 this should have minimum experience in Medical field and details for Panvel Municipal Corporation Recruitment 2018 are given below and Interview will be conducted on from 22-10-2018 to 25-10-2018. 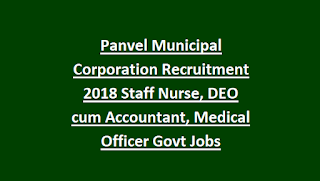 Candidates selection will be based on walk in interview for this Panvel Maha Nagar Palika vacancies. Direct Walkin Interview on 22nd ,23rd,25th dates of October-2018.